Nicely written! You bring up such interesting points about the dichotomy between how we view good and evil, vs. how we celebrate Halloween as compared to how much we revile real death. 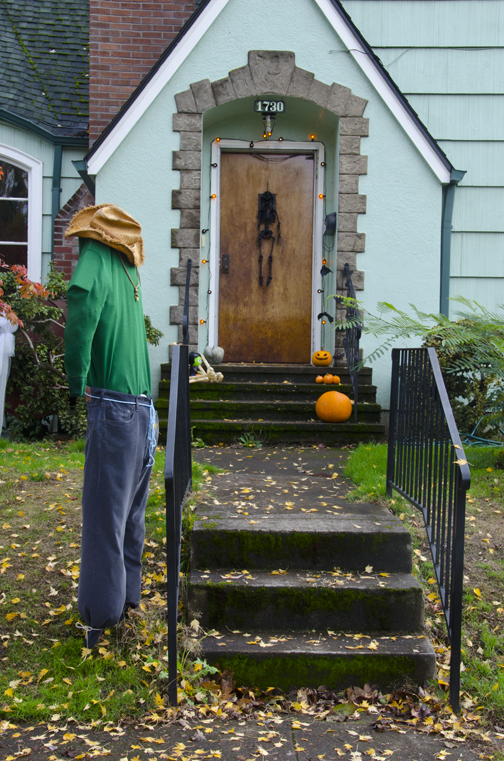 I was helping to put out Halloween decorations yesterday, and I couldn’t help but think that hanging a full human skeleton outside on any other day of the year would result in calls to the police and shameful looks from neighbors. Halloween is closer to temporary insanity than a holiday and yet it gets us further away, not closer, to understanding the real process of death. Thank you for commenting, Jenn. I think it would make an interesting art project or documentary to see how people would respond to skeletons and graveyards on the front lawn in April. Check the update on this blog post for a short animated film about Dia de los Muertos to enjoy the mood shift. If you haven’t seen it I think you will appreciate it.